I had been thinking on this costume for a long time before someone agreeing to cosplay with me made me decide to go for it. The sitar, to date (re-writing this in Aug 2010), is my largest prop. It is also the most time consuming but one of the most fun and still my favorite. So let's begin. Detail of the bridge on the Sitar. Close up of the reference pic I have. Note: This is NOT going to be flat! I merely drew this on for sizing purposes, and where it will go in the end. 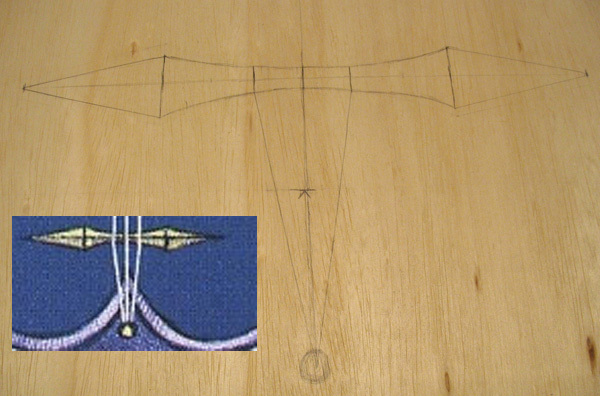 Best picture of the outline of the front of the sitar, drawn onto the plywood. This is JUST THE BASE of it, which comes above my hip! I mean, the pictures I am using for a reference say that this sitar is ... HUGE. It comes inches over Demyx's head... and I am still making it in proportion to myself and the pictures. This is going to be such a pain to carry around -.-;;; damn me and my accuracy. 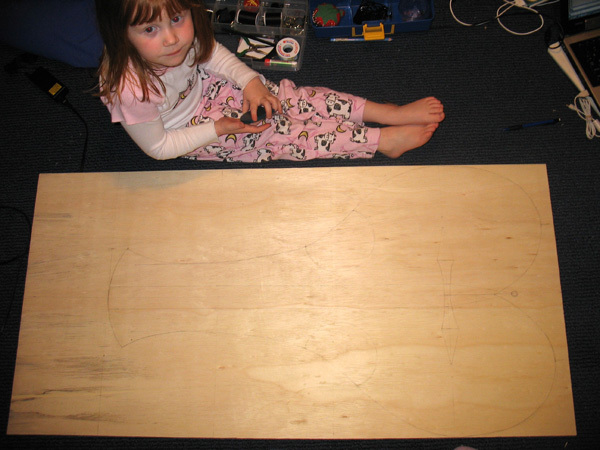 Poor pic of the outline, but cute pic of Shannon, my eldest sister giving a size relation. 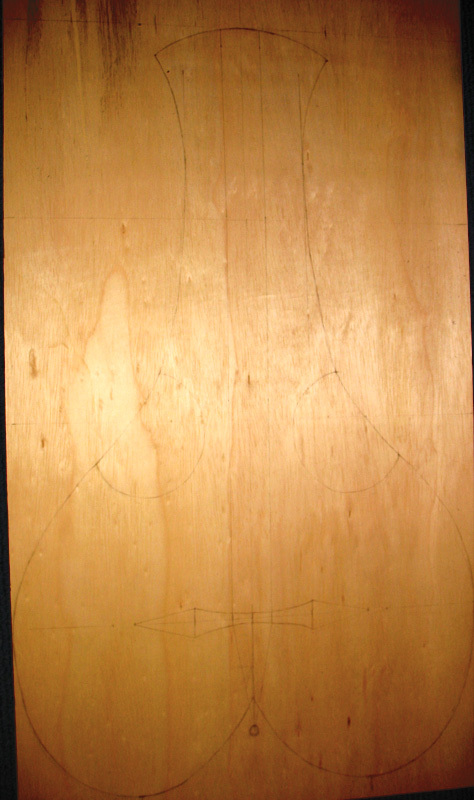 Here's the outline of the Sitar, cut and sanded. In progress shot of the neck. You can see my careful mathematics being jotted down on the wood. XD. 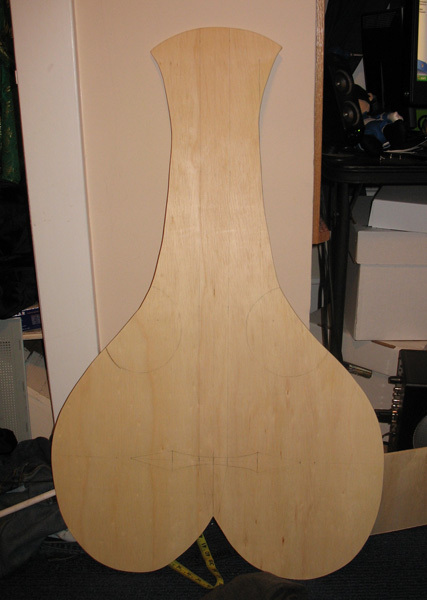 Neck is cut and sanded! Both pieces together. There's going to be foam behind those both. You can also see the 3/4 of an inch border around the base of the sitar that will be light blue. On the neck, this will be foam instead of wood.